This stunning waxy flower was photographed at the Hawaii Tropical Botanical Garden north of Hilo. 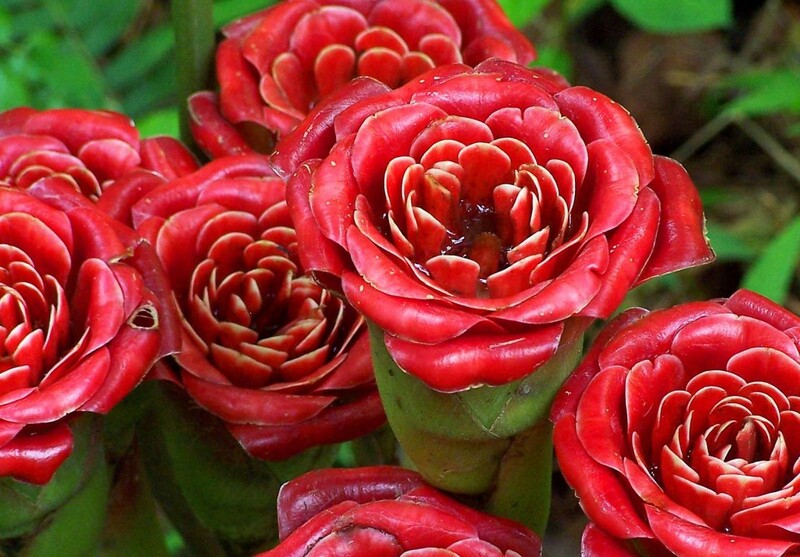 The species is from Malaysia and is known to generate more blooms per square meter than other Etlingera. It and 2000 other species of flora and fauna can be view in the stunning 40 acre garden on the Big Island. Tara Brown is an amateur photographer hailing from Colorado and the Big Island of Hawaii. Her adventurous spirit brings many opportunities for great pictures. hello,these pictures are really very good.nor I every one like nature & beauty is nature.So wonderfulllllllllllllllllllllllll.thanks.